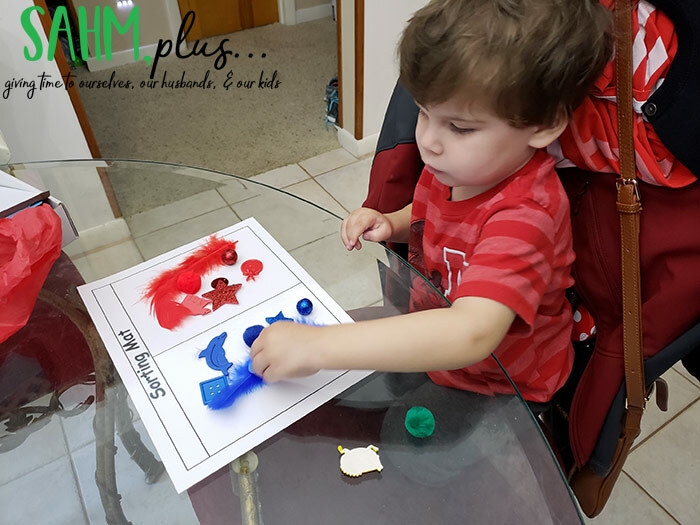 How The Preschool Box brings fun and education to my home for a 3 year old, making it easy, less planning, and little prep work. Our first month with The Preschool Box. When my son was two, I thought I could do some preschool stuff with him, just like I did with my daughter at his age. Turns out, he was much too immature and active to want to sit down and give a worksheet or coloring page his energy. I was really disappointed because I was looking forward to really setting a schedule aside from when he’d eat and sleep. But, I waited it out and just before he turned 3, I began to see him settle down and want to sit and color. 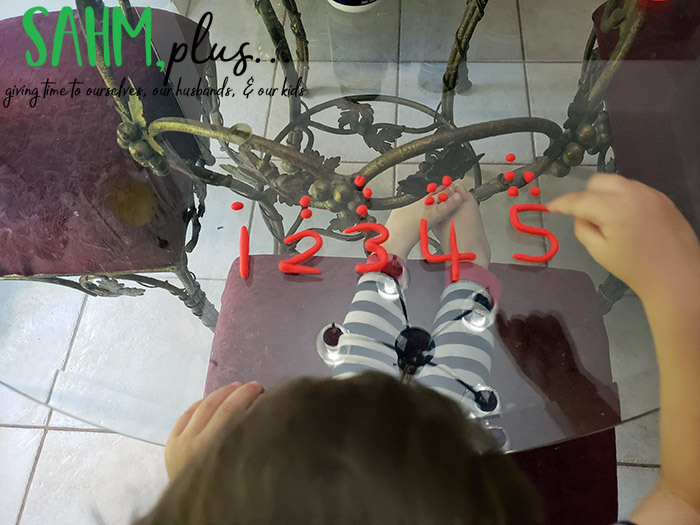 Still, his attention span was short and I knew most anything he was going to learn needed to be more hands on and less worksheets (a far cry from what my daughter was doing at that age). So, for one of his Christmas presents, right after he turned 3, I ordered the first box from The Preschool Box. 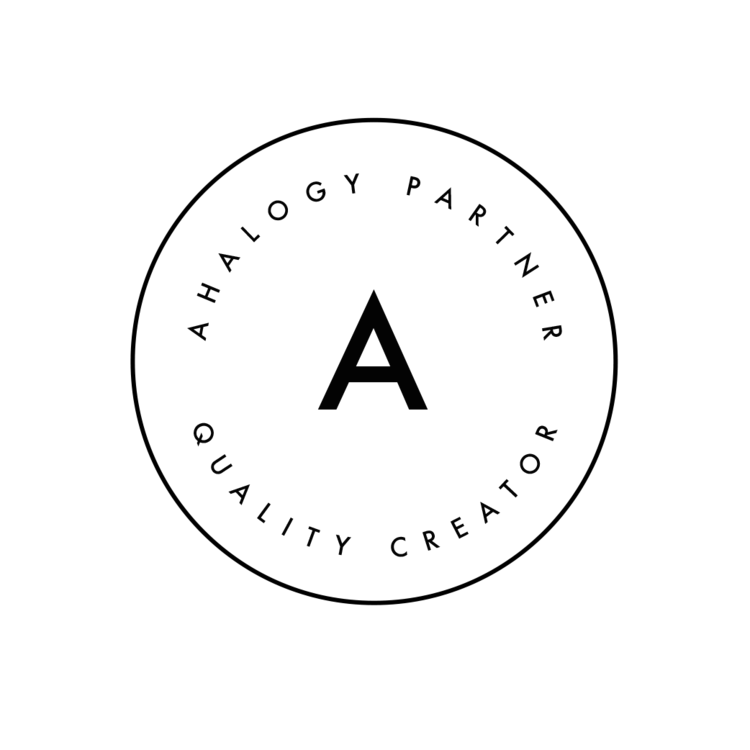 I chose this subscription box because it already had educational activities planned out and sorted for me for a full month. I could carve out time during the day on small activities from the box with very little planning. This was especially important so I didn’t feel defeated if I spent a bunch of energy preparing something he didn’t have interest in. The worse, for me, is utilizing the little energy I have and it not being appreciated or enjoyed. Instead, I could review the parent information to know what each week’s activities were for a month and pull each activity out when we were ready for them. If my son decided to do more, the next activity was waiting for us in his box. 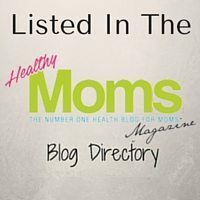 So, I wanted to give a rundown of how our first month with The Preschool Box went. 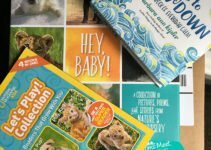 The Preschool Box is a monthly subscription service dedicated to helping moms educate their little ones at home. 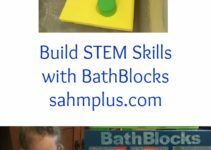 But, more than that, it’s perfect for moms who don’t have a lot of time to spend researching and preparing educational activities for their preschoolers! Or, at the very least, for the moms who don’t want to spend their down time in the never-ending Pinterest loop for preschool activities. I’m the second one. My energy is best used actually completing activities … not searching for them and hoping we have all the supplies. 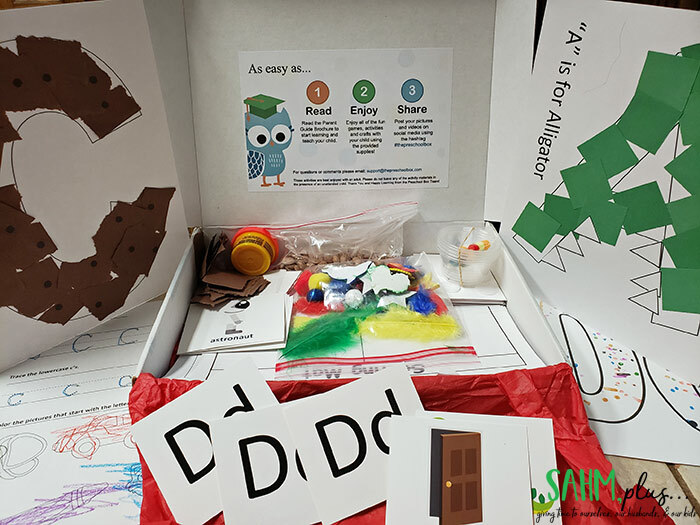 And The Preschool Box helps by supplying everything one needs for every activity they ship out for the month (minus the crayon, marker, or pencil your child will use for the letter tracing or coloring pages). So, when your first box arrives, parents will immediately notice there’s a folded pamphlet detailing the activities for the month, broken down by what each week will consist of. What I loved is that the activities are letter of the week based, and follow the alphabet order instead of being random. This is is my favorite way to do preschool at home with my kids. 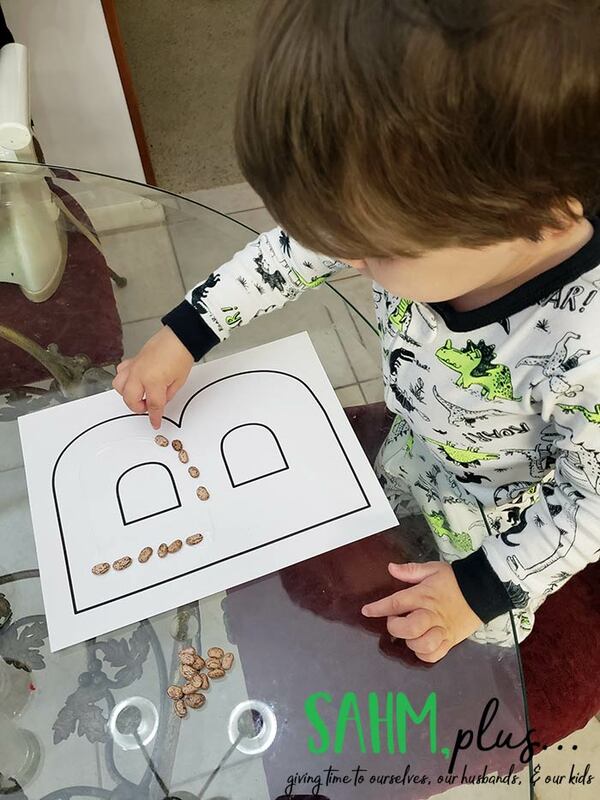 Each week activities include some sort of sorting, math, color learning, and craft in addition to learning letters and learning how to trace them. Plus, there’s always a book (or two) that fits a theme for the month. Because our first box arrived in December, we received Christmas books. There were 5 letter A cards. The uppercase and lowercase letter A was on one side and something that started with letter A on the other. The activities for the week included an A (Alligator) craft, letter A tracing sheet, color sorting, and counting 1 – 5. This week included 5 letter B cards, a B craft, letter B tracing sheet, counting cups, and sorting two different colors. This week included 5 letter C cards, a C craft, counting and gluing sheet, and creating numbers with play dough. Additionally, the color sorting increased to 4 colors. 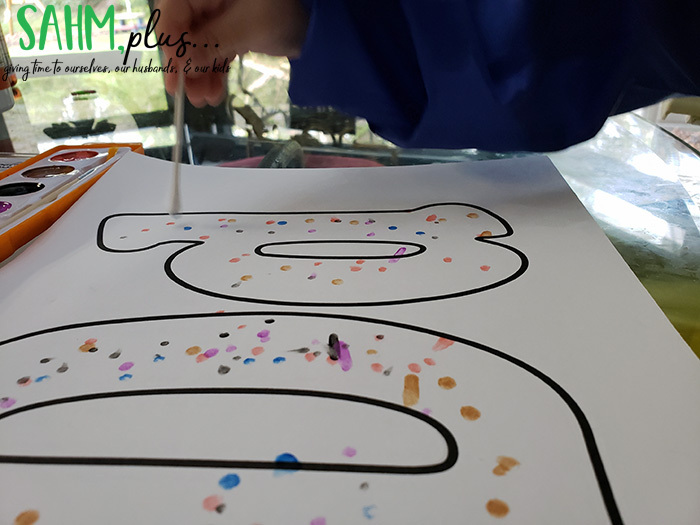 For the final week of our first box, we did a letter D tracing sheet, 5 letter D cards, tracing and writing numbers 1 – 5, and a letter D dot painting craft. 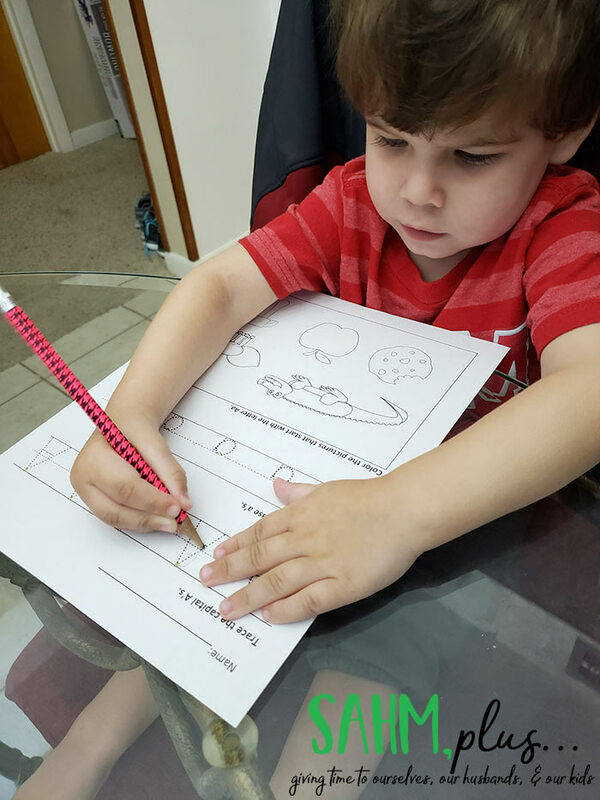 During each week, if we completed all of our activities, I’d supplement with Dot Marker pages specific to the letter my son had learned that week and we’d do some other worksheet pages. What I found is that the little guy became increasingly interested in his work and began asking to do his homework when his sister was sitting down to do hers. So, I was having to use some workbooks we’d purchased for his birthday that either helped solidify what he’d already learned or touched on other subjects that weren’t part of the The Preschool Box activities. 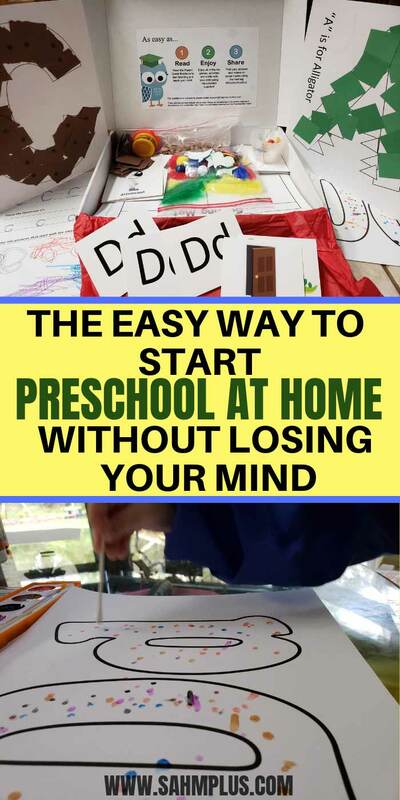 So tell me, would you like to try some preschool at home with The Preschool Box?